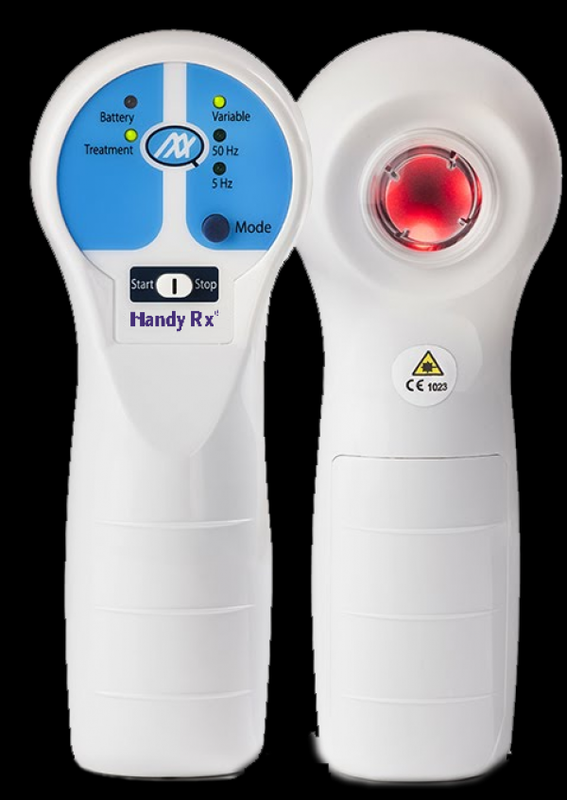 LLLT Handy Rx cold laser device for effective pain relief. Fast and free shipping! Plus 60 days money back guaranteed. Buy today risk-free! Order online or call (660) 264-0737. 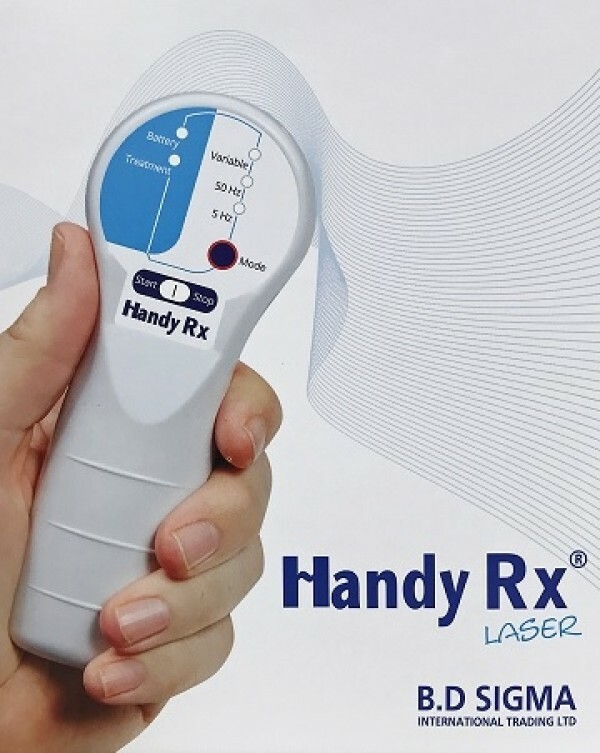 The Handy Rx is a small, non-invasive handheld device that is specifically designed for the home healthcare market to relieve a wide range of symptoms and treat pain. Handy Rx low level laser therapy (LLLT) combines 4 different types of energies in one product. The Handy RX is a small, non-invasive handheld device that is specifically designed for home health care to relieve a wide range of symptoms and treat pain. A technological innovation developed by Israel that found its way to dozens of pain clinics throughout the country and to hospitals, Combines soft laser technology (LLLT) along with 3 other technologies and helps not only reduce pain but also cures the root of pain. 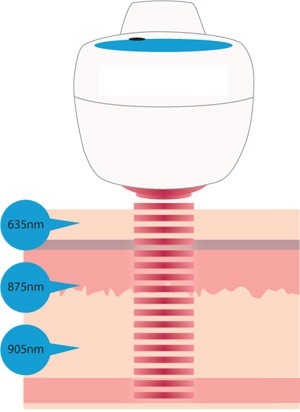 How does soft laser technology help reduce pain and speed up the body's healing process? The soft laser technology treats the body at the cell level by speeding up the mechanisms of the natural healing process of the body. Every cell in the human body contains light-sensitive chemicals called cytochromes. These cytochromes reside in the energy pockets inside the cell called mitochondria. 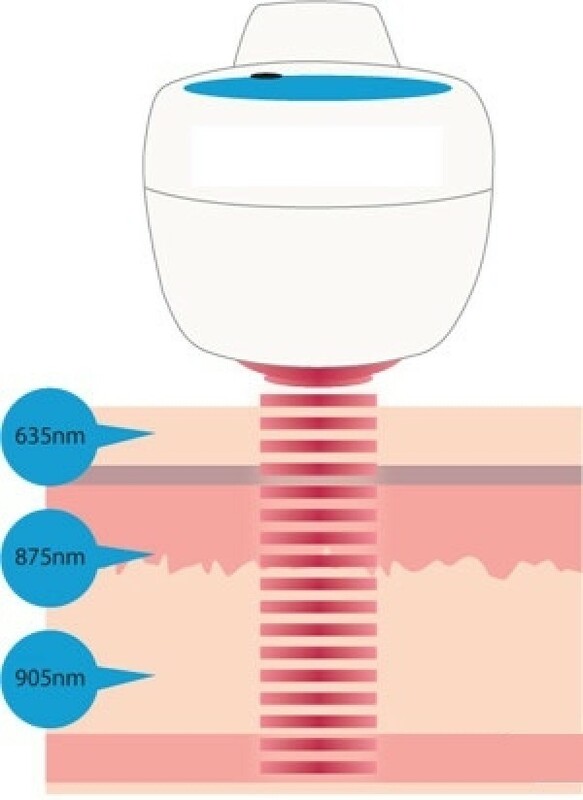 When using a soft laser device, it is attached to the skin over a damaged, swollen, Inflamed or painful for a few minutes a day, allowing the cells and tissues of the body to absorb the light energy emitted from the device. Increases and improves the speed and quality of cell renewal. Improves blood flow and oxygen in the cells. Relieves joint pain and chronic pain. 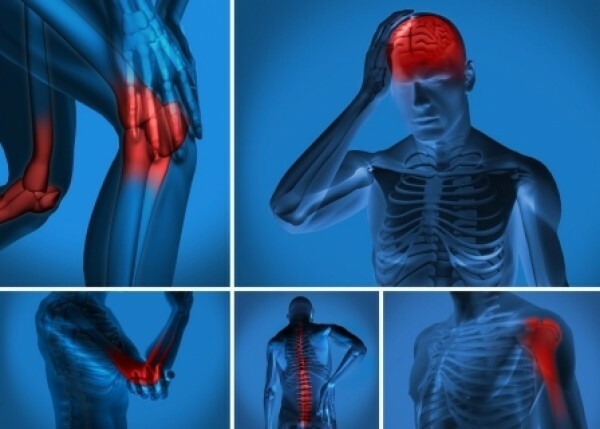 Prevents nerve cell degeneration after injury. Creates cells and tissues in health and stability. Promotes healing processes in wounds and bruising. Reduces swelling in the affected area. When the laser beam and the light energy penetrate deep into the tissues, they stimulate the cytochromes within the mitochondria that produce a reaction called adenosine triphosphate (ATP). ATP is actually the natural "fuel" of the cells and is what allows the cell to heal. The ATP is produced naturally within the cell, but when the cell itself is damaged or inflamed, the cell's ability to produce the same ATP required for recovery is compromised. The soft laser, which actually helps the cell to produce ATP even though it is damaged, is activated. Increased ATP production in the affected area leads to increased oxygen-rich blood flow into the damaged cell, reduces trauma to the cell, and actually accelerates recovery. As the affected area recuperates, the pain decreases and the other symptoms decrease, such as swelling, edema, redness, and more. 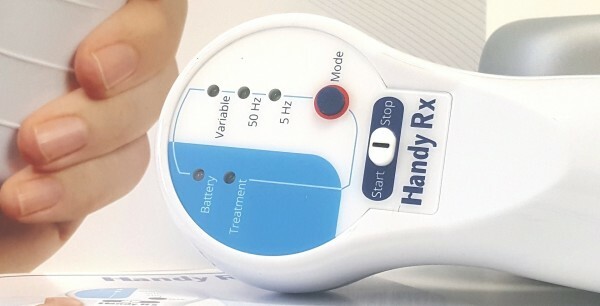 Handy RX device has received FDA approval for home treatment using LLLT technology and selling it to the private market. The device has been approved for use in Israel by the Standards Institute of Israel and the Ministry of Health, has a European CE mark for marketing in European countries and millions of dollars have been invested in its development. The device is also marketed in the US, Europe, Australia, and other countries. What pains does the device fit?